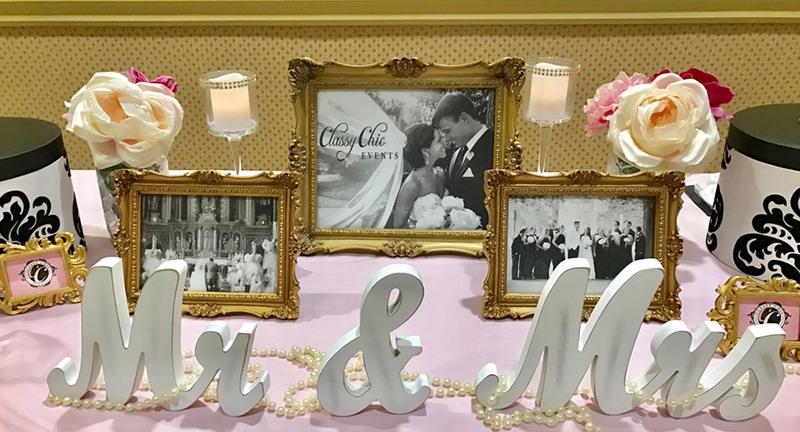 Our booth displayed who we are and all we can offer our future couples. 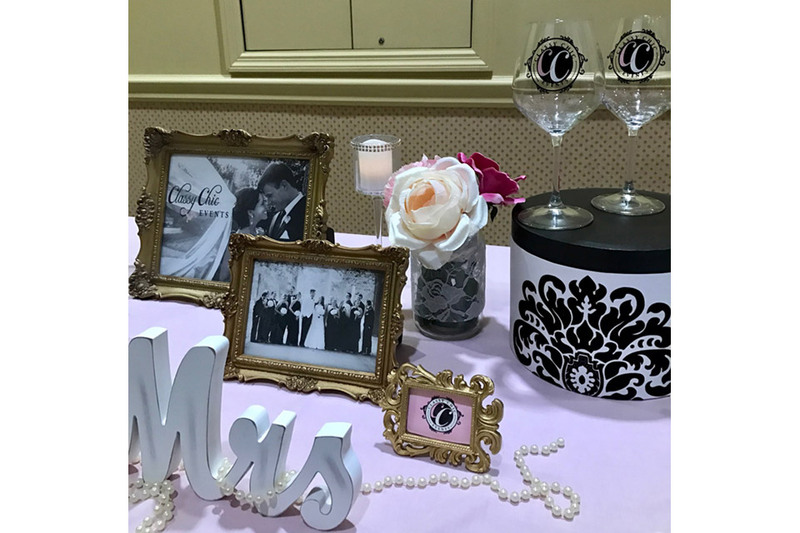 This included our wedding and social engagement packages, party rentals such as vases, flower arrangements, frames, dessert stands, bridal signs, candles, fancy display boxes, and a hand-crafted lace pink linen. 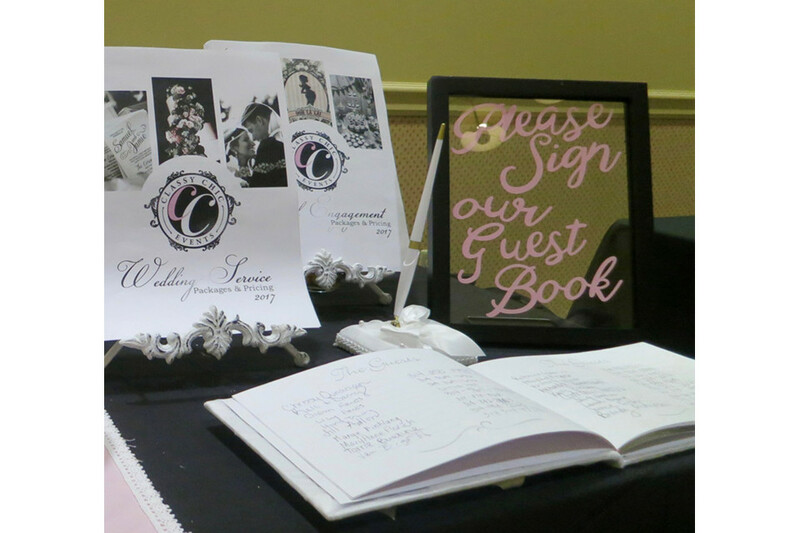 In addition, we displayed many beautiful pieces made by the talented Jessica Cenatiempo, our creative designer with CC Events. 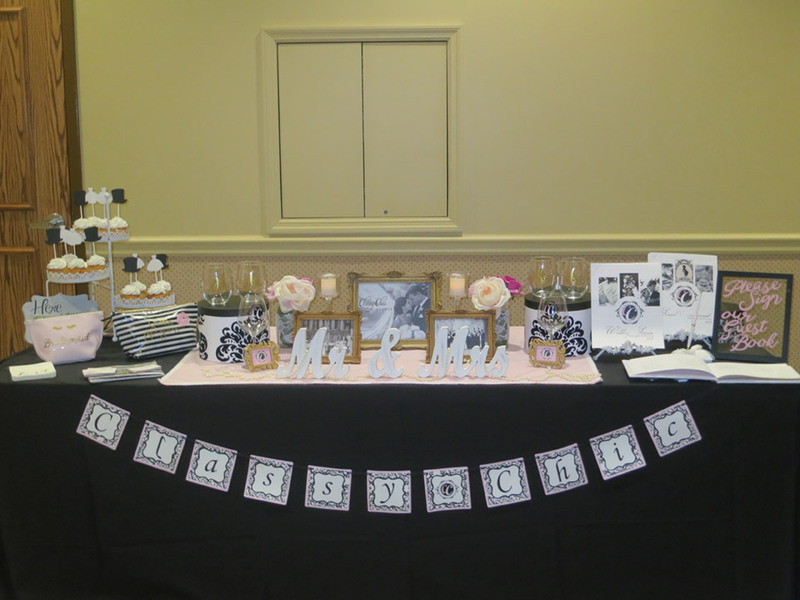 This included the Classy Chic banner, bride and groom cupcake toppers, gorgeous Mr. & Mrs. monogrammed wine glasses, adorable bridesmaid bags, hello gorgeous bags, Classy Chic Events wine glasses, and our oh so pretty guest book sign. 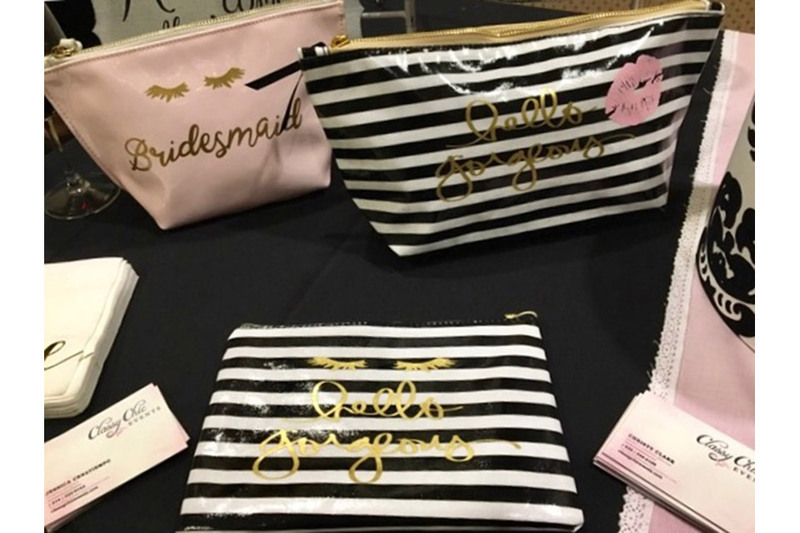 These adorable bags make for great gifts for your wedding party. This is just a taste of all the we can make for our clients. 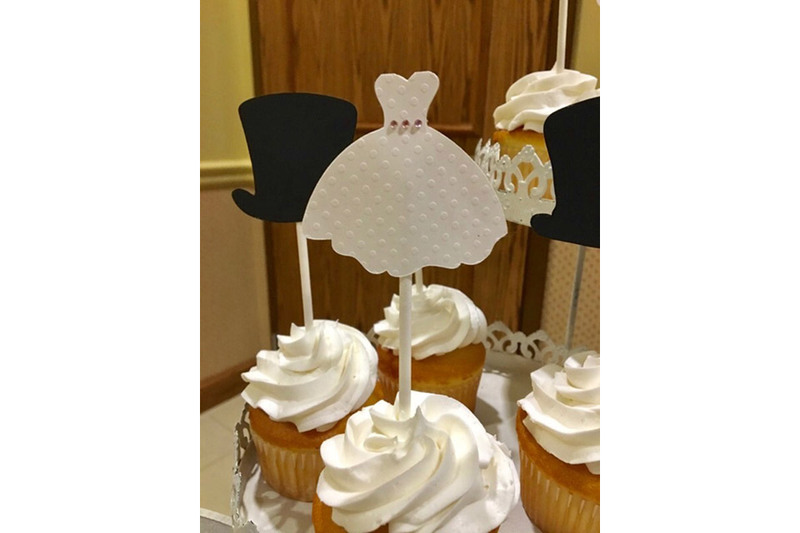 The possibilities are endless and each event we do is custom designed. 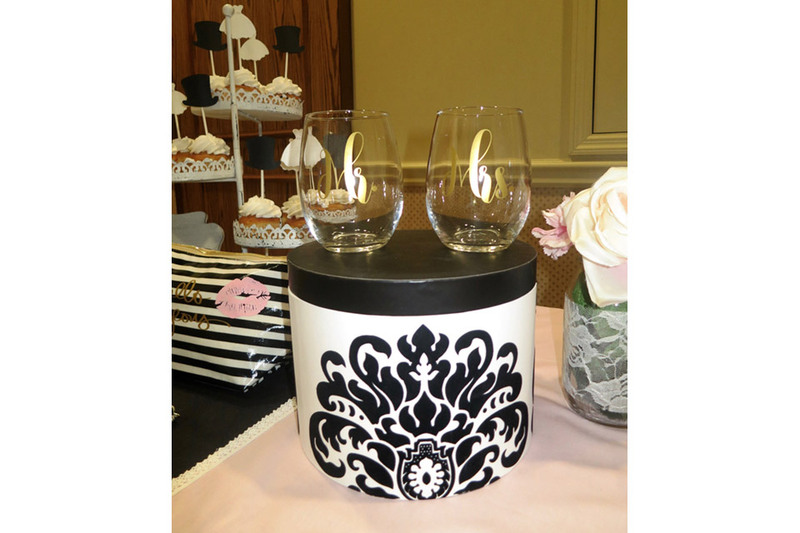 We love bringing elements we hand-make together with our rentals to display a wow factor for your next event. That said we truly enjoyed our time at the Liuna Event Center. 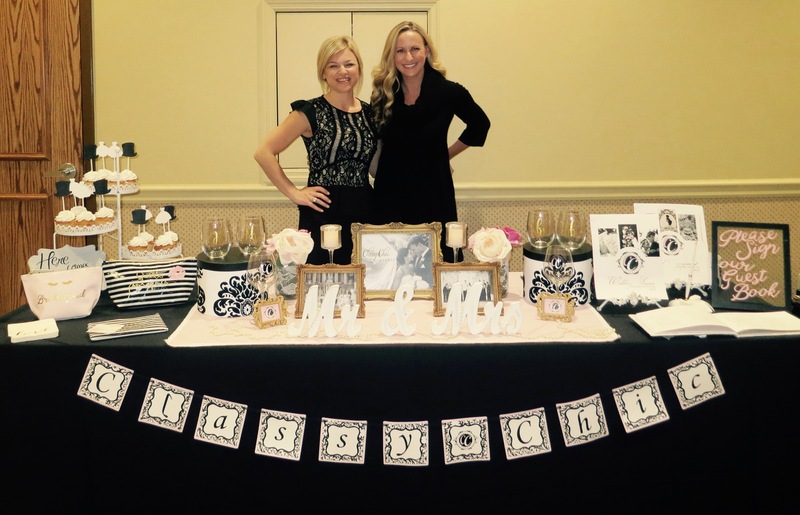 We met a ton of amazing couples, parents, grandparents, and vendors. 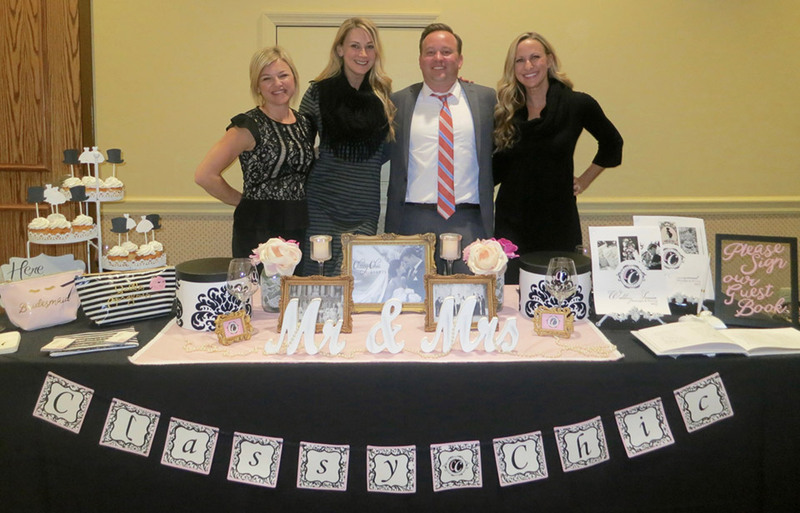 Our friends at Boutique Realty were there representing as well. Also, congratulations to our winners! 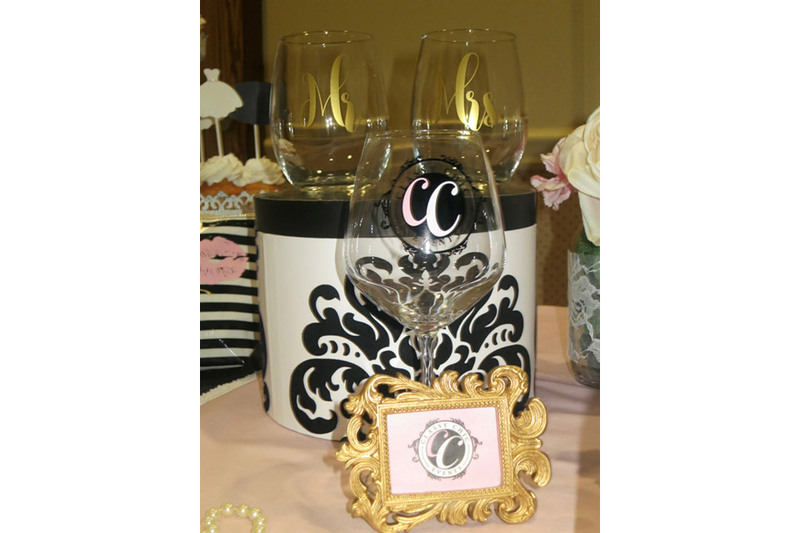 Classy Chic gave away three, $250 gift certificates to be put towards services with us and two sets of the darling Mr. & Mrs. gold stemless wine glasses. 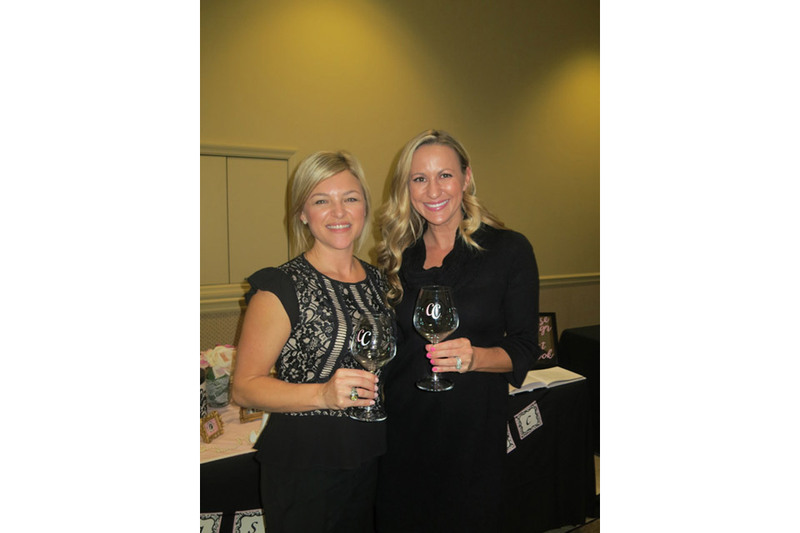 We are very excited to be apart of their next Tour, Taste, and Toast March 15th. Please contact us for further information if you would like to attend the event. 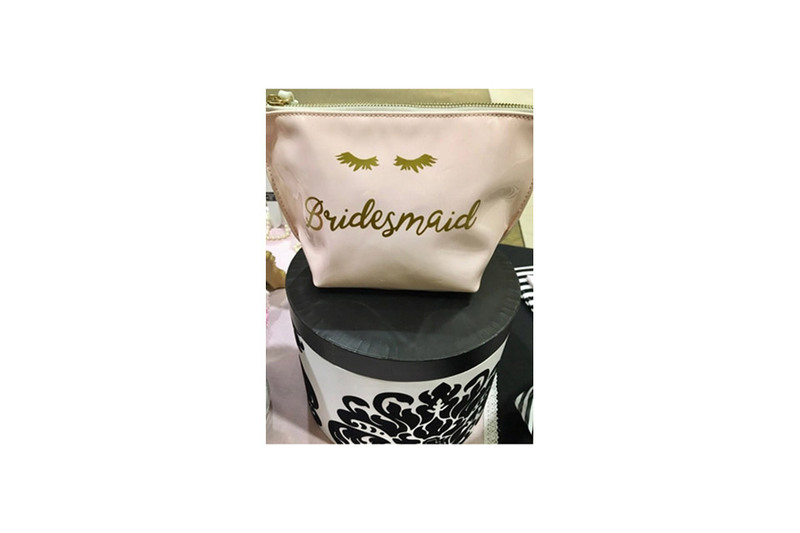 There will be a lot of great vendors, giveaways by Classy Chic Events and others. 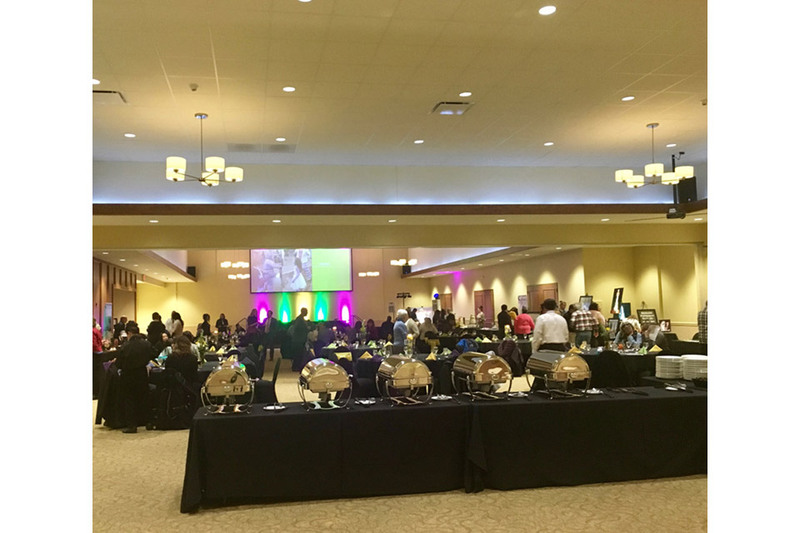 This event space is definitely one not to be missed for your next event. 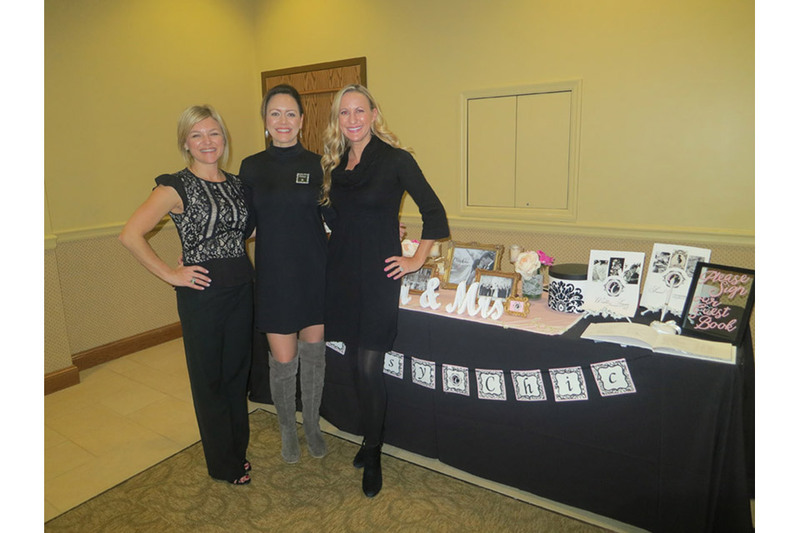 Thanks Liuna Event Center for such a fun and memorable evening!